A milestone birthday is the perfect time to look back through the years and see how much the celebrant has changed over time! 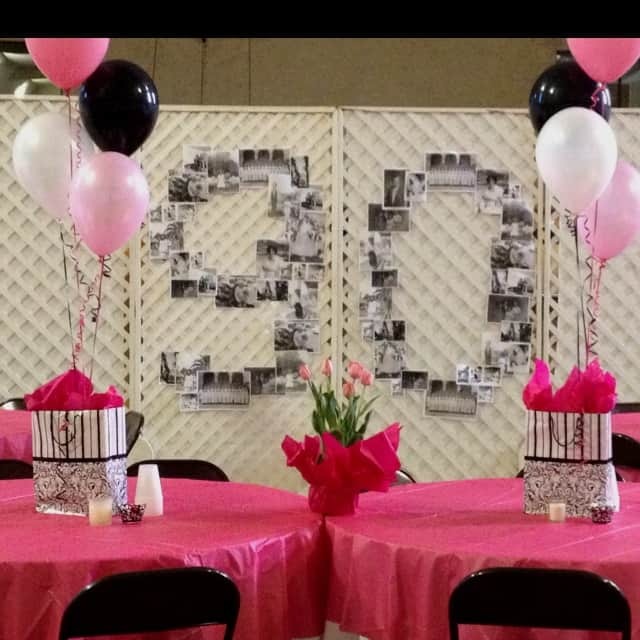 These great 90th birthday photo ideas are creative ways to showcase your favorite pictures in an eye-catching fashion. You can never have too many pictures of the birthday celebrant at a milestone birthday party! 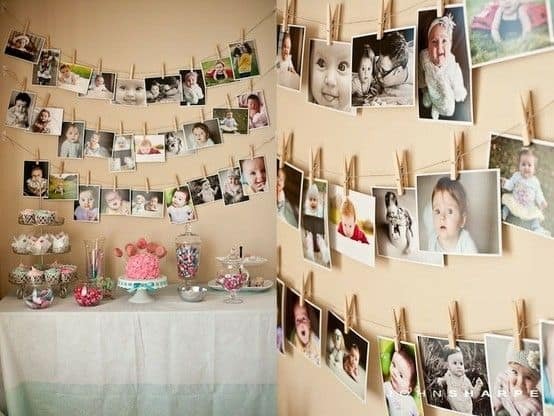 One creative and inexpensive way to showcase treasured photos is to simply tape them to the wall in the shape of a “90”. You may also consider taping them to poster board so that they can be taken home and enjoyed after the party is over. 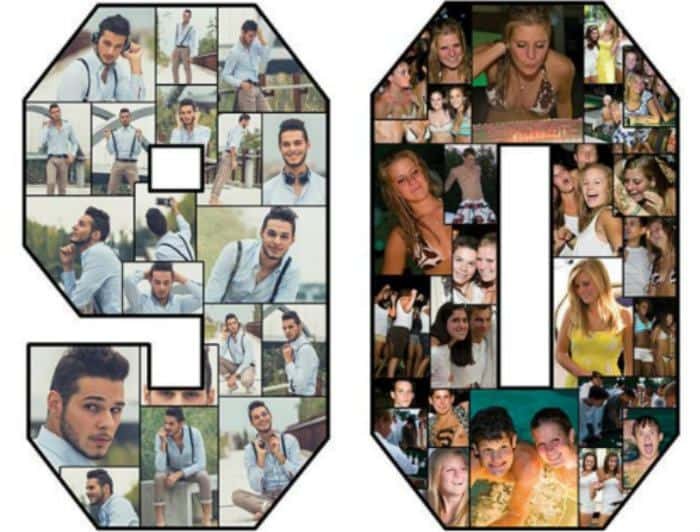 Impress your guests and thrill the guest of honor with a striking number "90" photo collage! Don't worry about trying to tape pictures to the wall or to a poster board - you can easily create a beautiful photo collage of numbers at Shindigz on sturdy cardboard. The numbers come in 2 sizes - a 23" size that would look great on the table, or a huge 46" tall size that would be an impressive wall decoration. Just upload your favorite photos and arrange them on the collage however you'd like. You'll have a chance to preview your design before you purchase. As a bonus, the birthday celebrant can enjoy the collages at home after the celebration is over! 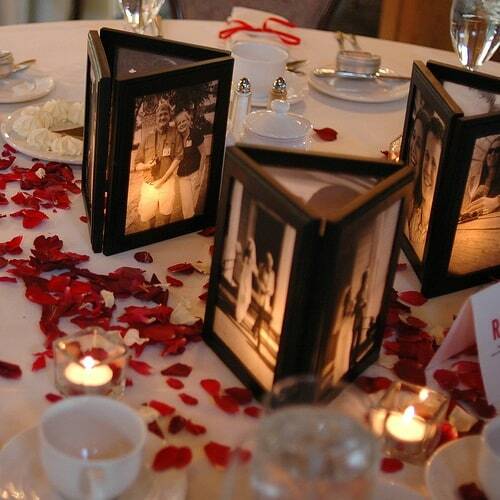 Don't you just love these adorable photo candle centerpieces? 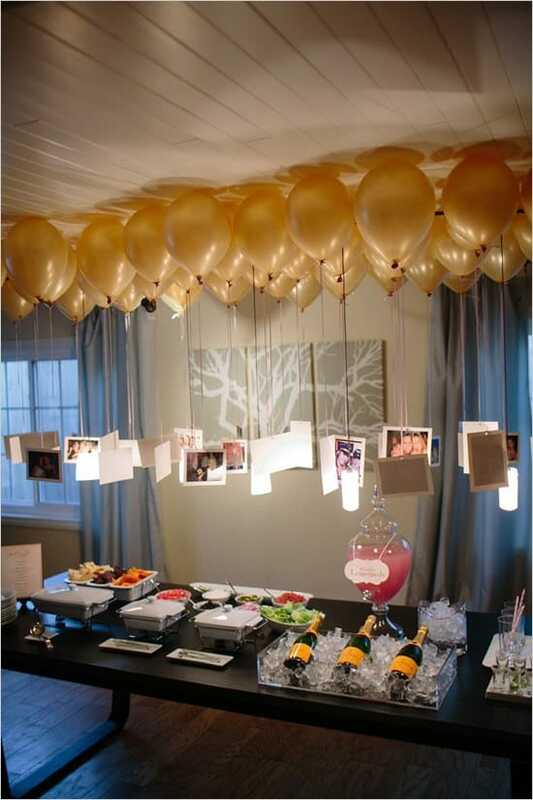 They're such a delightful way to showcase your favorite pictures - and add a soft light to your party! Just print your favorite photos on vellum paper (which is slightly see-through - perfect for the light to shine through) and add the pictures to inexpensive frames. Duct tape the frames together to form a triangle shape. Then just add a battery operated tea light (because it's really best not to have a fire at a party). See the complete directions at Martha Stewart. Flowers are always a wonderful idea at any party! Rather than just using fresh flowers, why not create a bouquet that will be enjoyed long after the party is over? 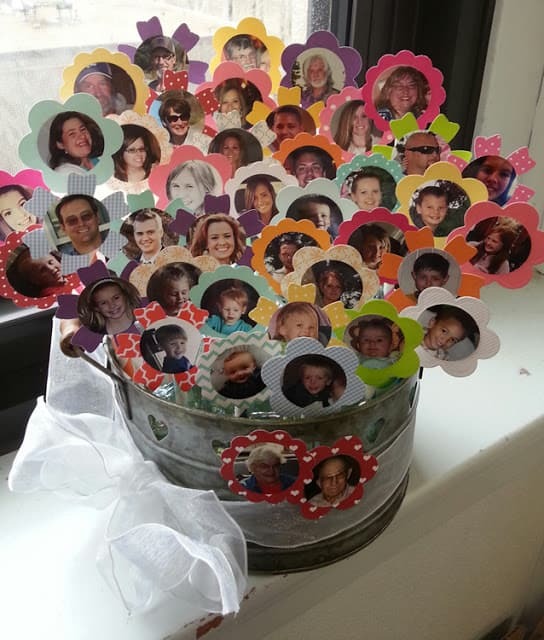 Make use of Facebook and email to gather pictures of all the family members and friends and create a bouquet of flowers that features photos of the birthday celebrant’s loved ones. Click ﻿here﻿ for complete directions. 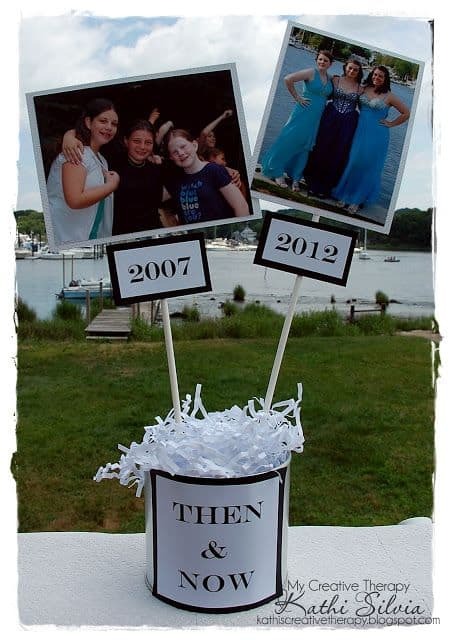 These easy-to-create centerpieces are a great way to show how the birthday celebrant has changed over the years! Your guests will enjoy stopping by each table to check out all the different looks. You can mix and match the colors to match your party scheme. Another great find over at Catch My Party! They’ve artfully arranged photos, flowers and ribbons to create an eye-catching bulletin board (or whiteboard) display that’s sure to be the hit of the party. 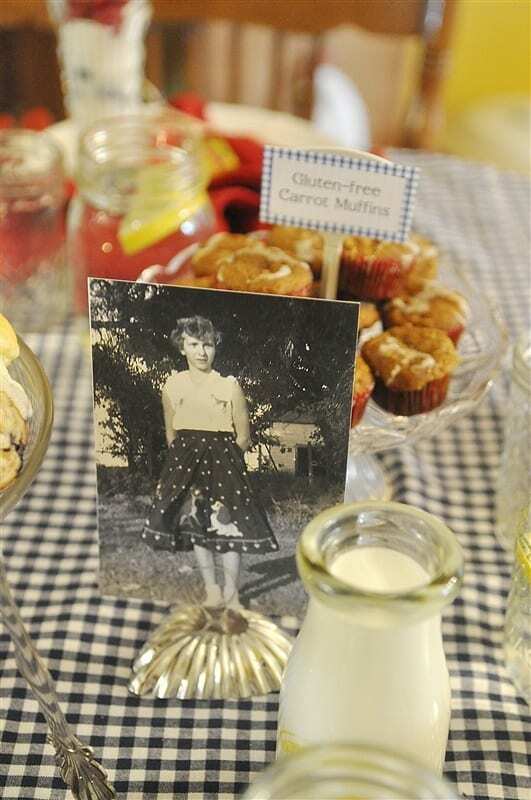 Here’s another really cute way to highlight pictures from the guest of honor’s life! 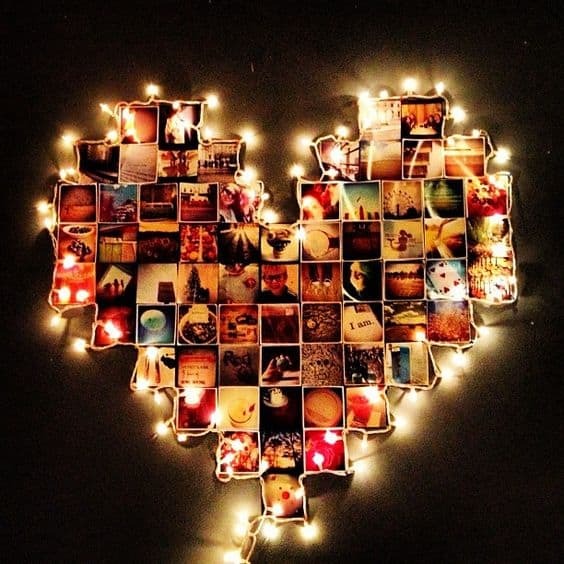 The heart-shaped design would be pretty easy to do, and don’t you just love the idea of surrounding the collage with fairy lights? You could also make the collage in the shape of the number 90 and surround that with lights. 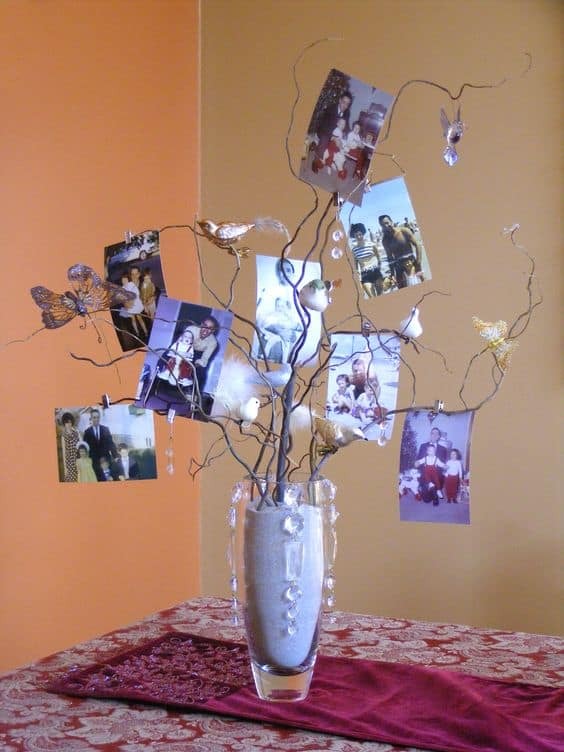 This photo tree centerpiece would be so much fun (and so easy) to make – and it’s sure to be the hit of the party! The butterflies and birds add cute accents, and the gemstones add a touch of sparkle. She used sand for the filler, but you could also use gemstones or colored water. 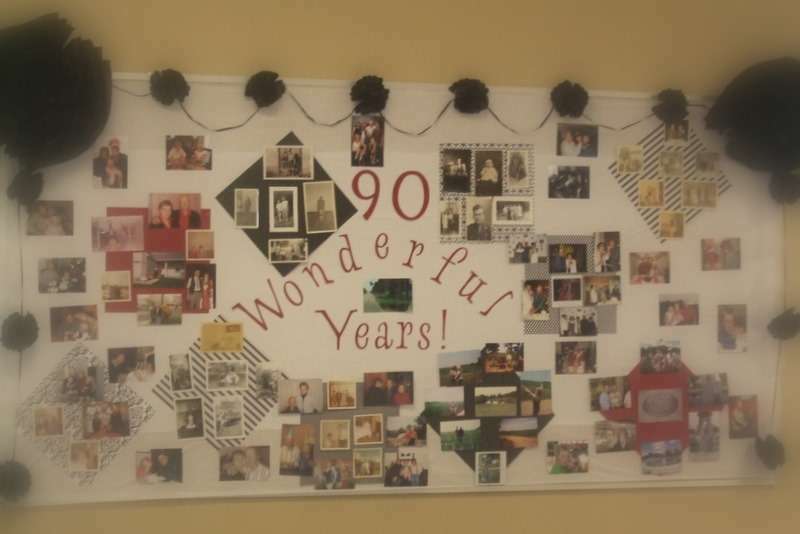 If you’re looking for a 90th birthday decoration that is sure to be the hit of the party, check out this great tutorial on how to make a gigantic (4′ by 6′) photo collage for under $10! Place card holders are a great way to display photos of the guest of honor on the table. They’re inexpensive, easy, and are low enough that guests don’t have to look over or peer through them while eating. For a bright and festive look, attach photos to the end of helium balloons. You can change the balloon and ribbon colors to match your party colors. 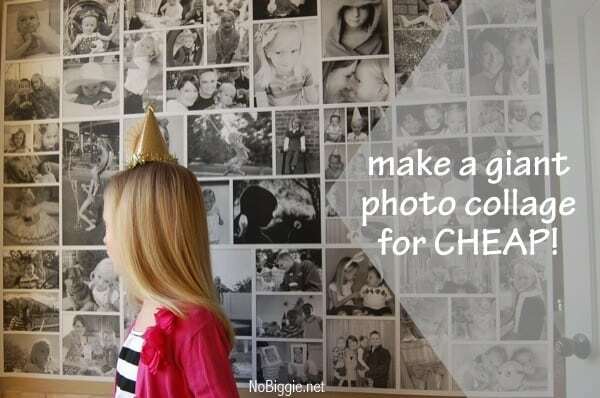 Here’s another really cute and easy way to display a lot of photos of the guest of honor! They used twine to display the pictures, but you could use ribbon if you wanted to add a touch of color. This is another easy project that would be festive whether you’re throwing a party or not. 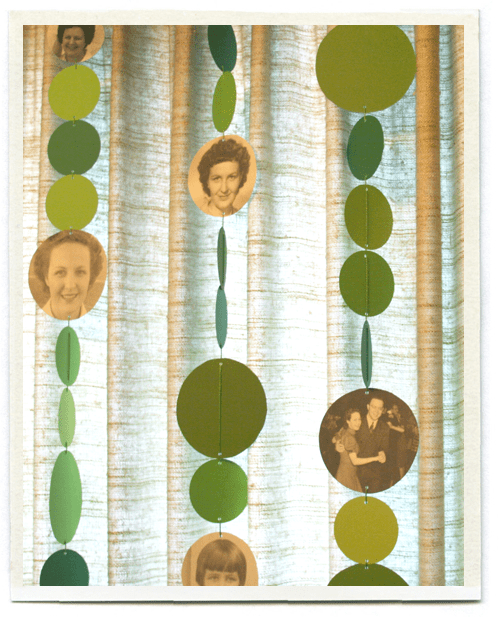 Just cut out paper circles in different sizes and string them together with photos of the birthday man or woman from all different ages. Cute, easy, and sure to spark memories!